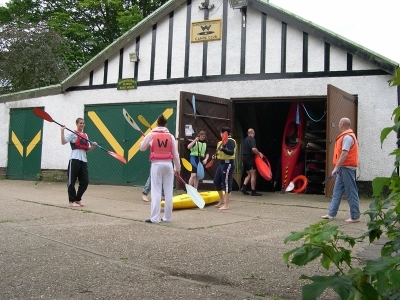 Windsor Canoe Club is situated in the Boathouse adjacent to Windsor Leisure Centre in Stovell Road. 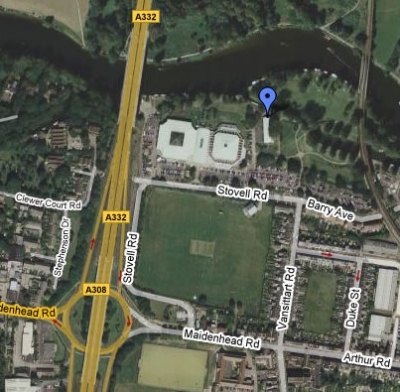 The leisure centre postcode is SL4 5JB, but beware of using it in SatNav – they invariably will take you down Vansitart Road, which is a no through road! From all directions, follow signs for Windsor, then the brown signs for Windsor Leisure Centre. Turn into the Leisure Centre car-park. Canoeing is a sport for all, and the club generally welcomes members of all ages. Prospective members can download a club constitution and acceptance of rules forms here. It is important that all members sign the form/s agreeing to comply with the clubs rules and constitution. They will also need to complete (in duplicate) an annual membership form, available from a committee member on a Wednesday evening, and hand that, together with the acknowledgement of compliance with club rules form to the membership secretary or other committee member (together with payment) for counter-signing. Currently, due to demands on our coaches’ time, we are unable to accept any new members who are not already able to paddle competently to a 1* standard. They will also need to complete (in duplicate) an annual membership form, available from a committee member on a Wednesday evening, and hand that, together with the acknowledgement of compliance with club rules form to the membership secretary or other designated committee member (together with payment) for counter-signing. Information about river conditions can also be obtained from the Environment Agency Floodline Number (0845 988 1188 followed by 1, and then the quick dial number for the Thames, which is 011131) and from the lock keepers at Romney Lock and Boveney Lock. When red boards are displayed at locks indicating strong stream, the EA advise users of all boats not to navigate because the strong flows make it difficult and dangerous.